The cold weather has slowly crept back into Chicago. This, of course, means I’ve avoided leaving my house as much as possible. Naturally, when I'm at home I always have to have music playing whether I'm cleaning or working. Depending on my mood, my taste changes with the exception of country music -- I apologize to all you Luke Bryan fans out there. I tend to stick to more soulful/indie alternative vibes but every once in a while I throw in some 90s throwback, Chance the Rapper, or Beyoncé. More or less I have a handful of artists I find myself constantly listening to again and again because I just love them so. *Cue eye roll* Besides his overplayed ‘Take Me to Church’ single, I’m such a Hozier fan. ‘Cherry and Wine’ and 'Jackie and Wilson' have to be two of my all time favorites. Catey who? I found Catey a few years back. I thought she only had one EP because that's what I could find Spotify but SoundCloud has a few of her more recent tracks. Her lyrics are so sassy and catchy. I don't have much to say about the Lumineers besides they can do no wrong when it comes to making music. 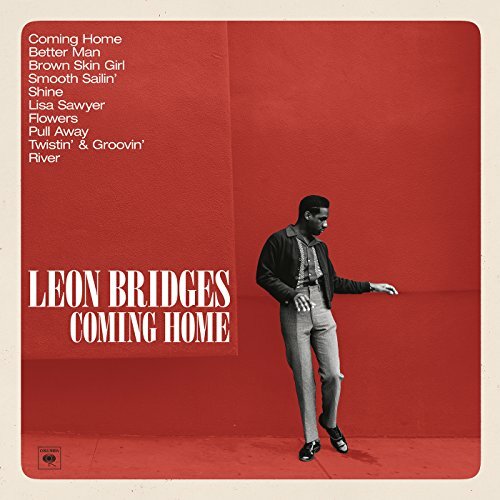 What’s not to like about Leon Bridges? He’s so unbelievably talented. I love the sound of his voice, it's so soulful. I can't remember when I started to listen to Shakey Gaves but I love to watch his live performances. Honestly, I think he sounds better live. If you listen to this version of 'Roll the Bones' I think you will agree.